Confession: I am really bad about making Ethiopian food. 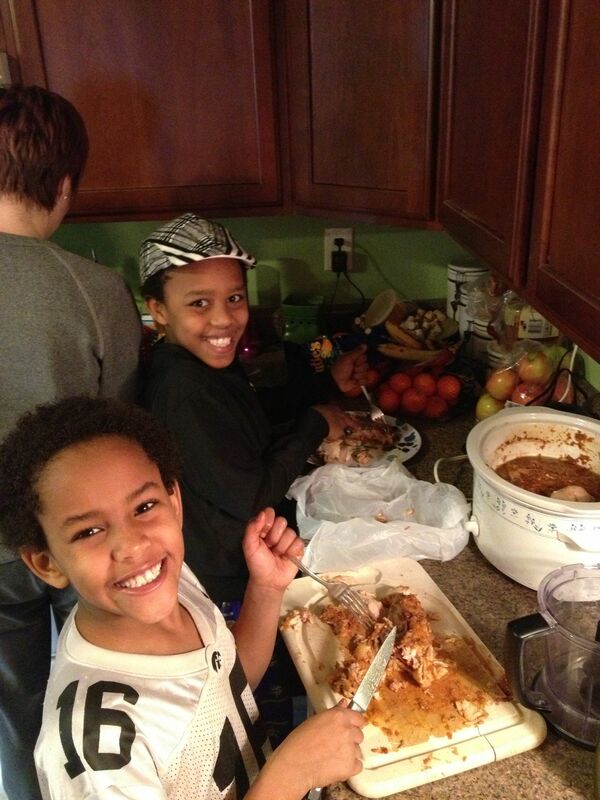 For as much as my beloved Ethiopian sons love the food, it is positively sinful I don’t make the effort more. That said, a friend of mine brought us some injera last week and Tomas-daily-would open the basket and take a big whiff exclaiming, “The best!” I knew it was time. At church a few weeks ago one of my pastors was talking about the significance of the table in the early days of Christianity. He was talking about how Jesus would invite “the outliers” to eat with him because they weren’t allowed to go to temple. If I remember correctly my pastor even said the Hebrew word for table roughly translates to “little temple” or something like that (I seriously might be making that up, my memory is a little fuzzy). The point being, Jesus knew sitting around a table and talking was just as good-sometimes better-as going to temple. And Jesus knew everyone was invited to sit at the table. I love that. Mostly because I love food and I love talking over food. I found myself nodding in agreement a lot as the pastor spoke about the significance of breaking bread together. Then Zach, Tomas, Tariku and I made Doro Wat and Shiro Wat together. When it was done we all sat together, toasted our families in Ethiopia and ate. And sure enough, God showed up. He showed up in the way Tariku belly laughed his way through dinner, He showed up in the way Tomas legit shoveled the food into his mouth. He showed up when Trysten and Dailah-usually not game for anything resembling spicy-ate a few bites and gave their brothers the thumbs up. I think sometimes we think God’s only in the really spectacular places and we risk missing Him in the smaller ones. The table, for instance. 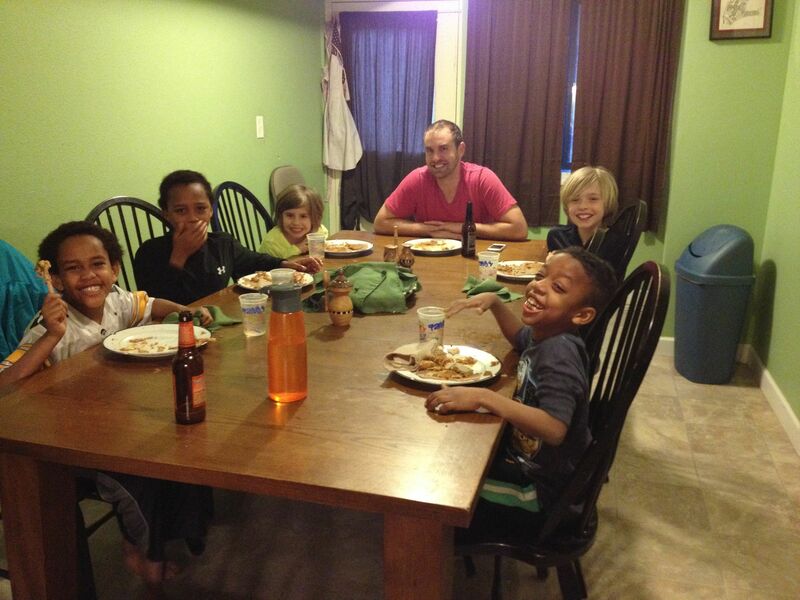 I know if you’re anything like we are, dinners often resemble the trading floor on Wall Street. But sometimes? Sometimes they can feel like going to church. This entry was posted in Ethiopia, God, Parenting and tagged Adoption, Ethiopia, Ethiopian food, Food, Kids. Bookmark the permalink. You are beautiful, my friend. I’m lucky to know you. Love this post! And love catching up. I had totally forgot you are blogging at this new place. Correction made, newsfeed updated! How did the dorowat turn out? Sorry it took me so long to text you back. What a great post. I just love the last line. It is so true. Sometimes coming together over food feels like the way towards connection. I think that’s especially true of Ethiopian food, shared together on a huge platter of injera.